Join us at the upcoming Fraser Valley Home & Garden Expo February 12-14 at the Tradex in Abbotsford! 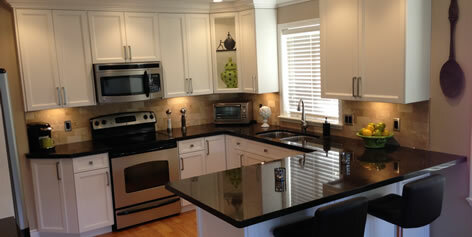 We’ll be there to answer any questions you have regarding your upcoming kitchen, bathroom or custom refacing projects. You can see many great before and after pictures on our website but come see in person what we can do for your home! Due to our valuable time spent at the homeshow we will be unavailable to answer any phone calls or emails from February 11-15; we hope to see you there! We have never been happier with any home service provider as we have with Justin from Kitchen Magician. His professionalism and quality of master craftsmanship are second to none! From the initial meeting and quote to the finished product he was patient, friendly, always on time and above all superb in his craft.